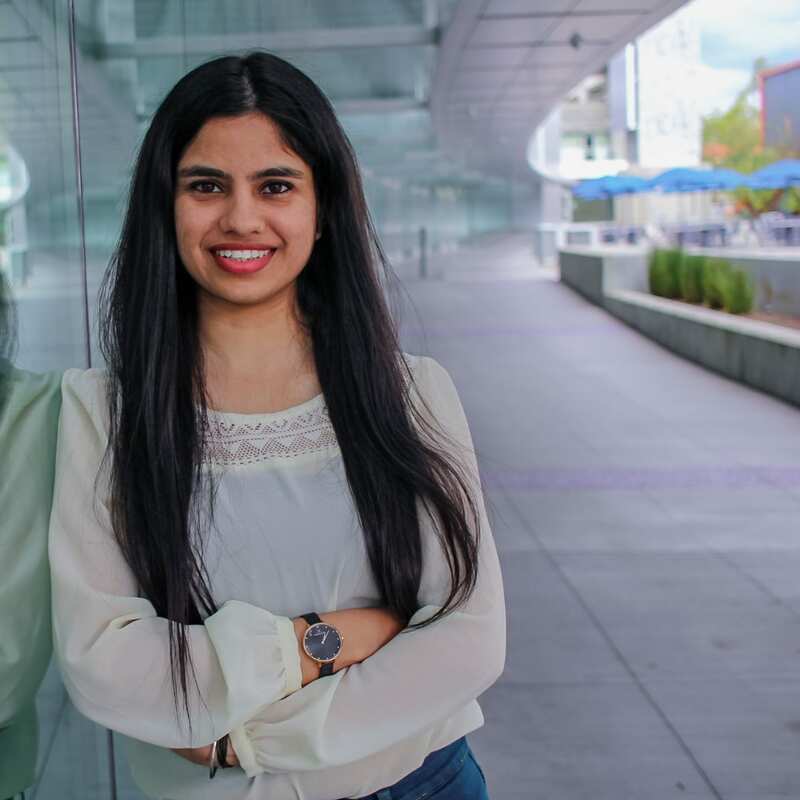 Neha Sharma is a first year Graduate student studying Software Engineering and is expected to graduate in May 2020. She, along with Meenakshi and Rashmi help students and faculty with instructional tools and other programs. She has been a member of eCampus for 3 months now and has quickly shown her skills to her peers. Neha exudes confidence and we can all see that through her work. The way she helps faculty and students overcome their technical issues is inspiring and incredible to see. When she first started, she was a bit shy but always willing to learn I believe that mentality is what many of us in this office have. We work in a field that is constantly changing and updating and being able to adapt to it shows determination and drive. Both these qualities Neha possess in full. With a specialization in Cloud Computing, she wants to incorporate her love for cloud software into her final project. After graduation she wants to travel the states and play tourist her in the Bay. Her dreams for the future are to open a company that provides health benefits to the poor section of the society through my technological inventions. Neha has a history of volunteering and helping her community. She says, “I was associated with a non-profit organization back in India that worked on providing better health education to underprivileged children. I also worked as a yoga instructor there and plan on contributing to my community here in San Jose”. Her love for helping others is incredibly infectious and we all can’t wait to see what Neha does in the future.